We didn’t think we would be doing another post on Queen Victoria’s recent dry dock but after Cunard Line released a stunning new time-lapse we couldn’t resist. The British-based cruise line posted a stunning new video of Queen Victoria’s huge multi-million dry dock. 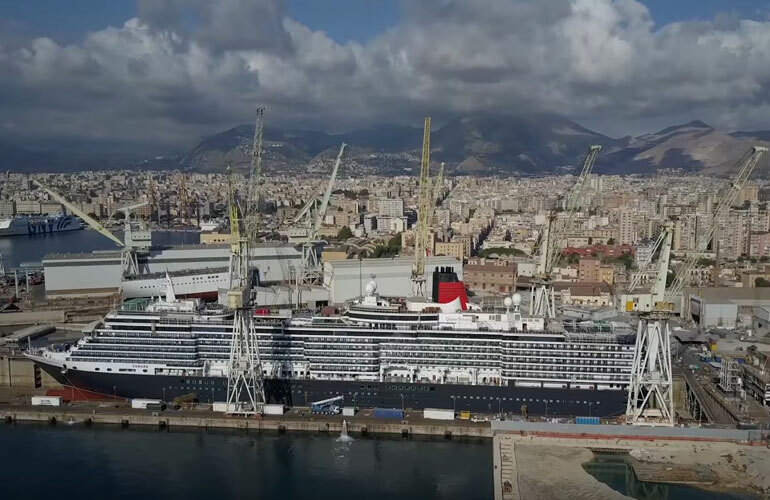 The Cunard vessel spent a month at the Fincantieri shipyard in Palermo, Sicily. We previously posted shorter videos of the ship starting its refurbishment and then again towards the end but the footage was way too short which we did mention. Cunard Line has made us happy by covering the entire process and even showing off the new features and updates too. Queen Victoria has now resumed service with cruises out of Southampton, UK. The cruise ship is 90,000 gross tons.